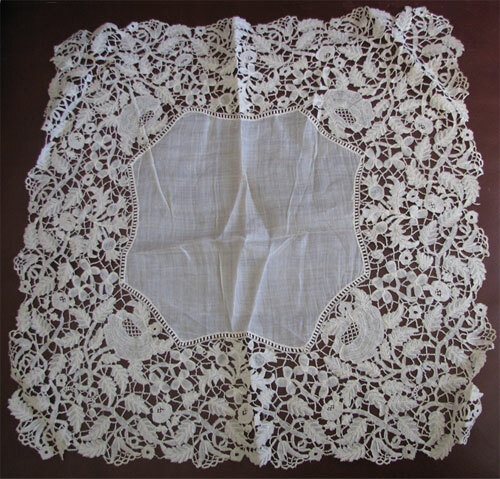 The EAC Heritage Collection has a wide variety of textiles.This particular piece is one of three handkerchiefs donated by the Regina Historical Society. Learn more about the collection on the EAC website. 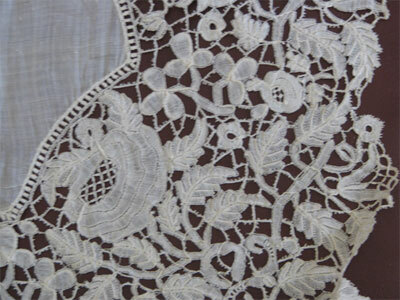 Learn more about Honiton lace on Wikipedia. For more about Duchesse lace, check Encyclopedia Britannica and the bobbin lace entry on Wikipedia.